The “Sanders Family Christmas” musical theater production gives Branson one of its best holiday offerings! The show puts the lighthearted and lovable Smoke on the Mountain family, the Sanders, back in their favorite place - small town North Carolina’s Mount Pleasant Baptist Church - bidding a sad, but proud, farewell to their only son. As the nation recovers from the Great Depression and World War II begins, Dennis has become a Marine and will be shipping out to serve his country. To wish him well and lift the spirits of the faithful congregation - that would be ‘you’ and the rest of the Branson audience - the Sanders Family is spearheading the annual Christmas celebration for their beloved church. With the help of their leader, the capable Reverend Mervin Oglethorpe, who makes ends meet with a part-time pickle plant position, they’ll put on a righteous and rousing good ole time of a show, complete with inspirational hymns and uplifting Christmas carols. Meet the family...father, Burl, mother Vera, who loves to quote scripture; the twins, one being brother, Dennis, soon departing the family nest; signing - not singing - sister, June; and their Uncle Stanley. Their close-knit, devoted, quirky, and completely lovable, and they’re looking forward to having you as a guest at the Mount Pleasant Baptist Church’s annual Christmas celebration! 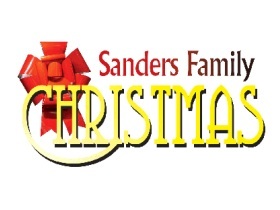 Don’t disappoint the Sanders Family; get packed and get ready to roll on in to Branson as it plays host to the “Sanders Family Christmas” this holiday season!